I love it when a song sneaks up on you. Sometimes the sneaking will take several listens before it can take hold…other times, a song will grab you after just one…and not let go. 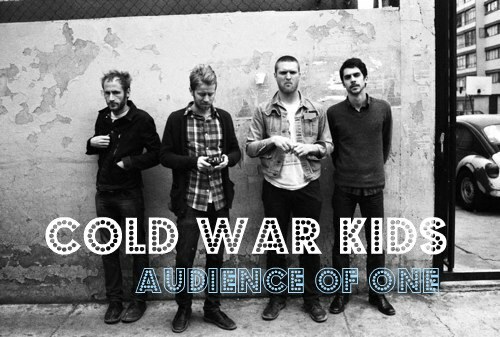 I heard Cold War Kids Audience on the radio on my way home from work last week. When the song first came on…I was distracted by thoughts about work, life, love…but by the end I was hooked. Not really knowing all the words, I was trying to sing along… moving my head and using my steering wheel as a drum kit…tapping away to a rhythm that didn’t really give me a choice. It’s simple, it’s invasive, and it’s fantastic…because it makes me look back on all my favorite memories of playing my guitar…and I was always playing for an audicence of one. ~ by coreysays on February 13, 2010. 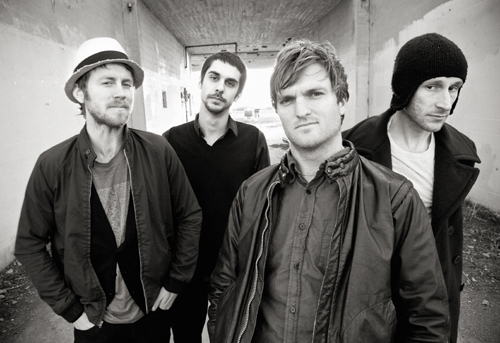 I heard this song (big fan of the Cold War Kids) last week as well…..I love it! You, as always, have great taste in music, until you get all EMO. 🙂 We’re like peas in an iPod…you and me….